A franchisor is a person or company that grants the license to a third party for the conducting of a business under the franchisor's marks. The franchisor owns the overall rights and trademarks of the company and allows its franchisees to use these rights and trademarks to do business. The franchisor usually charges the franchisee an up-front franchise fee for the rights to do business under the franchise name. Also, the franchisor usually collects an ongoing franchise royalty fee from the franchisee. Franchising is a system for expanding a business and distributing goods and services to meet higher consumer demand. It’s based on a relationship between the brand owner and the local operator to skillfully and successfully extend one’s established ​business system. At its essence, business format franchising is simply a method of distributing goods and services. It is not, as many people believe, the franchising of a product. Wendy’s does not franchise hamburgers; Midas does not franchise mufflers. What they each franchise is the business system that delivers the product or service. It is the entire method of doing business, the name, the product, decor, and methodology of delivery that is franchised. To do their best in selecting qualified franchisees who understand the franchise's concept and are committed to operating the system according to the established standards. 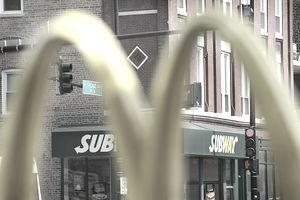 To do their best to protect the franchisor's brand and reputation by enforcing system standards in all company-owned and franchised locations. To make changes to the system’s product and/or services mix when necessary to meet consumer demand. To enhance and improve the operating system. To provide franchisees with training for use with their teams to ensure that all unit staff understand their role in the franchised operation and have the skills to be effective in performing their job responsibilities and duties. To develop and enforce advertising, promotion, and merchandising standards, as appropriate, that reinforce the franchise's brand image and increase customer traffic. The primary reason that manufacturers, retailers, and services companies often give for choosing to franchise is simply a shortage of capital. Franchising allows them to quickly open more locations than they could corporately, using funds primarily provided by franchisees. Franchising solves an even more critical shortage; that is, management and labor. In a period where every company is facing the crunch of a tight labor market, franchisees provide the local management and local recruitment of labor necessary to open units and deliver to customers the high quality of service and products they demand. But to succeed today, all businesses must deliver on the promise of their brand: high-quality products and services delivered with consistently high customer service. It has historically been the strongest draw for choosing to franchise. When done well, franchising has an extraordinarily low rate of failure and, contrary to popular beliefs, is not overly burdened by regulations or excessive litigation. Franchising is not limited to fast food, video rentals, or automotive services – it finds its roots in ancient China, and was used primarily by governments throughout the Middle Ages. It first appeared on the U.S. scene after the Civil War and became a force to be reckoned with in the post-war 1950s. It boomed in the '60s, policed itself in the '70s, and matured in the '80s. Since the 1990s, it has continued to outstrip the achievements of the rest of the economy. In the United States, franchising is the primary vehicle that has successfully taken small businesses and grown them into national chains. Overseas, American franchisors are a world force, with the transfer of business technology being widely viewed as a stabilizing force in emerging economies. In turn, we now see promising growth in international franchising - overseas franchisors using the franchising model to gain a foothold in the U.S. market.